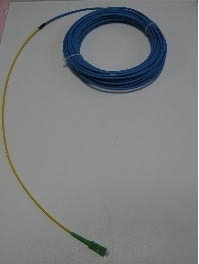 Armoured patchcords and pigtails are designed for special purposes as they operate in difficult conditions where large probability of damage occurs. 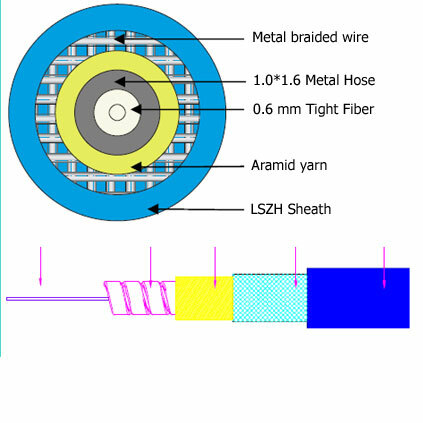 The fiber is protected with LSZH Sheath, metal braided wire and aramid yarn. In that way the transmission power is secured so the cable is resistant to bending, harsh environment or rodents' bites. The armoured cable is easy in application and it can be used in the same installations as the traditional patchcords and pigtails. However, it is especially advised for outdoors military use, power plants, duct layouts and subway.